Do you have any resolutions for 2019? If you don’t, you could resolve to learn some new skills! There are certain skills that are crucial for success in life, but many people may lack the knowledge of them. In this week’s Cypress River Blog, we’ve got 3 crucial skills everyone should know that you could learn as your New Year’s resolutions! Getting stranded on the side of the road with a flat tire is not fun. If you find yourself in a situation like that, it would be beneficial to have knowledge of how to change a flat tire. Learning how to change a flat will not only get you out of a bad situation, but it would also save you the money it would take to tow away your car! You’ll be a professional in no time by learning how to change a flat according to Bridgestone. One crucial life skill that everyone should know is how to do our taxes. This skill isn’t taught in school, but is one that can be used every year! Instead of going through another company and paying for something so simple to get done for you, learning can help you save money! There are plenty of programs that can help aid you in filing your taxes, and you can learn how to file your taxes by checking the IRS’s steps. There are fast food restaurants all over the place, making it easy to get a quick meal when you’re hungry. As easy as it is, it’s still not a sustainable way of living! Learning to cook is a great skill to learn, you’ll be able to make delicious meals and impress your friends or spouse. The only downside about getting good at cooking is that you may be called upon by your friends to cook for special events! Do you know of any crucial life skills that aren’t on our list? 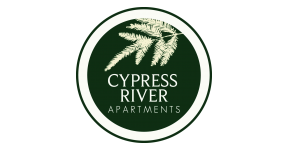 Let our Ladson, SC apartment community know about them by leaving us a comment!